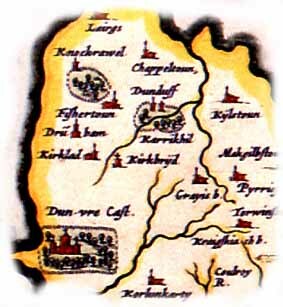 Early Pont map, 1583-1596, showing Dunduff. Dunduff Castle lies on the hillside overlooking the sea above Fisherton and Dunure in South Ayrshire on the west coast of Scotland (Latitude 55.410704N, Longitude 4.731241W). 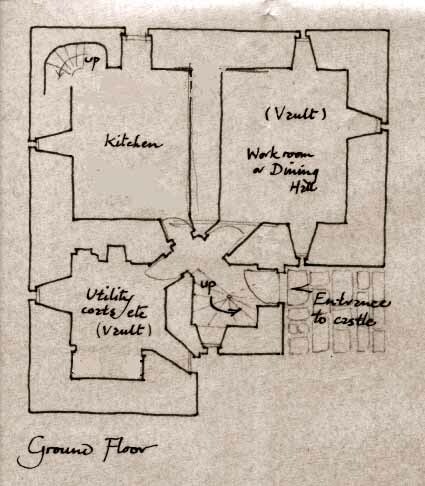 The castle was constructed to an L shaped plan, with a square stair tower in the re-entrant angle on the south. The style of the windows and the doors in the original ruin suggest construction in the late 16th and early 17th century.